Welcome to the official website of the Upsilon Tau Omega Chapter of Alpha Kappa Alpha Sorority, Incorporated®. On behalf of our nearly 200 members, I invite you to explore our site to gain a greater understanding of who we are and what we do. 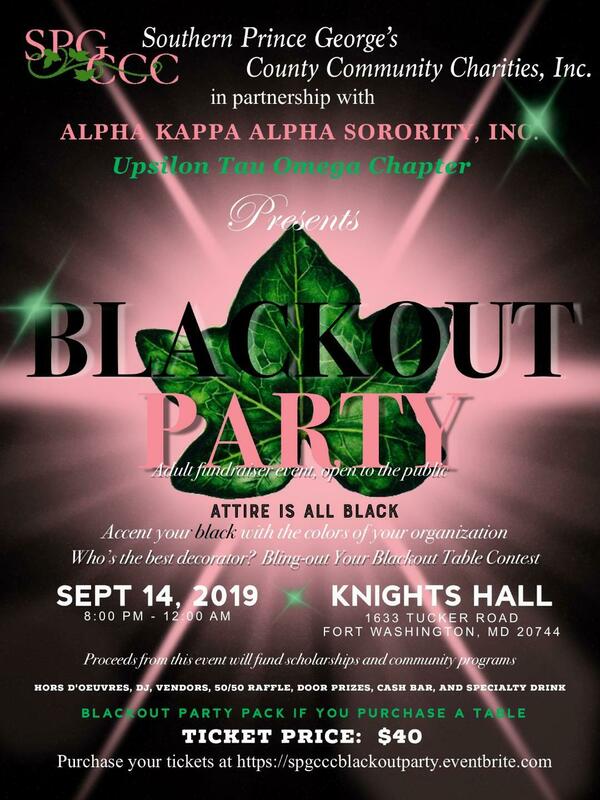 As members of Alpha Kappa Alpha Sorority, Incorporated®, the illustrious ladies of Upsilon Tau Omega are dedicated to the ideals of service and sisterhood. Since our 1997 chartering, we have worked tirelessly to implement programs that enrich the lives of residents of Southern Prince George’s County, Maryland. We value the relationships that have enabled us to further this mission, and we continue to seek partnerships with similarly-focused organizations. As we build on a legacy of over 20 years of service, Upsilon Tau Omega chapter is grateful for the generosity of our supporters. Please consider supporting our efforts by contributing to our 501(c)3 foundation, Southern Prince George's County Community Charities. Please continue to visit our website to receive information about upcoming programs and events. We also invite you to follow us on Facebook, Twitter, and Instagram as we continue to provide service to all mankind. 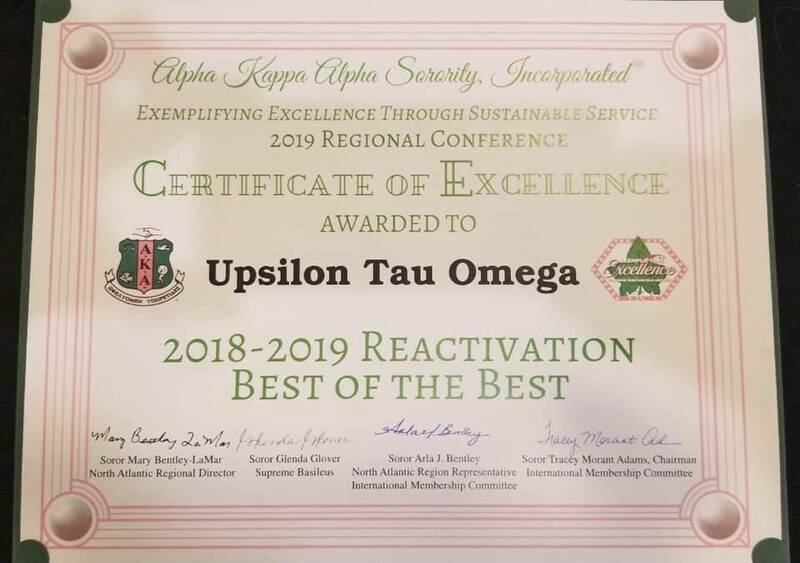 Upsilon Tau Omega Chapter is one of the 25 chapters in the North Atlantic Region awarded the Certificate of Excellence for the 2018 - 2019 Reactivation Best of the Best!